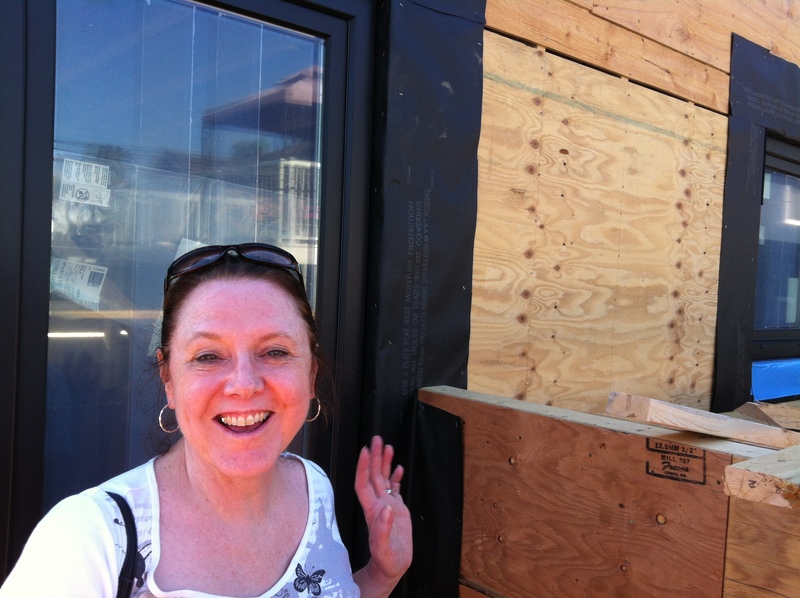 So the laneway house is busy being built. Rooms are being framed. Spaces are taking shape. 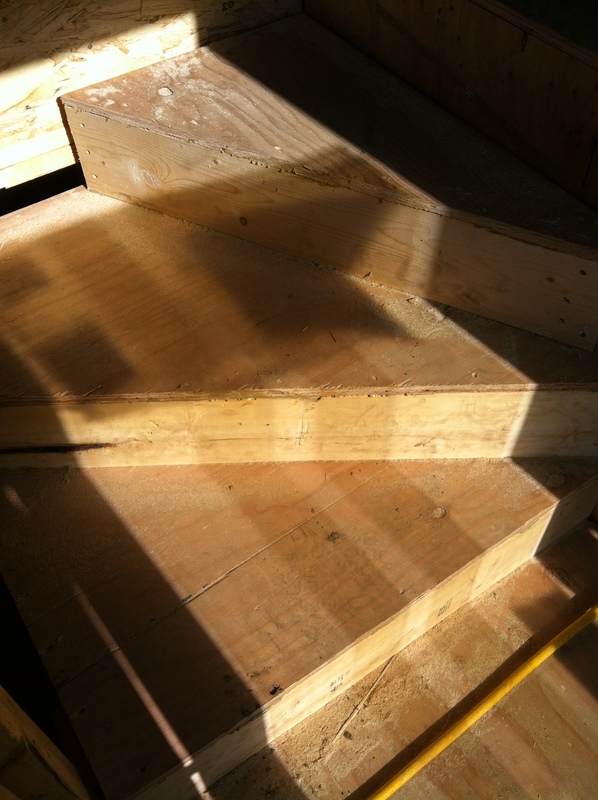 But what about our other project…..paring down? Minimalising? Hmmm, I wore out a pair of white socks — and didn’t replace it, er, them! Well, it’s a process, isn’t it? The thoughts of wardrobes — both the storage system and what goes within — are with us. We are now chosing what our wardrobe (the piece of furniture) will contain, and it’s plain we have to whittle down our wardrobes (the clothes) even more. And there’s a very clever way to do it. If you are a lady who loves clothes and have limited space (or funds) and you live in the US, you can try Gwynnie Bee, basically a clothes rental system. 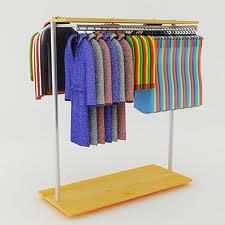 Subscribe and you can borrow clothes from their extensive collection. Kind of like having a very understanding fashionable room mate — with a very deep closet. Of course clothes are not the only things we keep in a closet. If you’re like most people, you need shoes. And some people need lots and lots of shoes. Just Soles to the rescue. And for accessories, it’s Bag, Borrow, or Steal. I’m not prepared to move across the border just for more clothes. But it’s an intriguing idea. For now, we will be paring and whittling. Posted in Housing, Laneway House, Small House and tagged Decor, Lane Home, Lane house, Laneway House, Small Style. Bookmark the permalink. Last evening was our scheduled meeting with Laurel and Angelito, our designer and builder from Novell Design Build. As I walked up the alley to the house, I couldn’t see much in the way of progress. But my eyes deceived me! For lo and behold, when I got nearer it was plain that the slab had been poured! 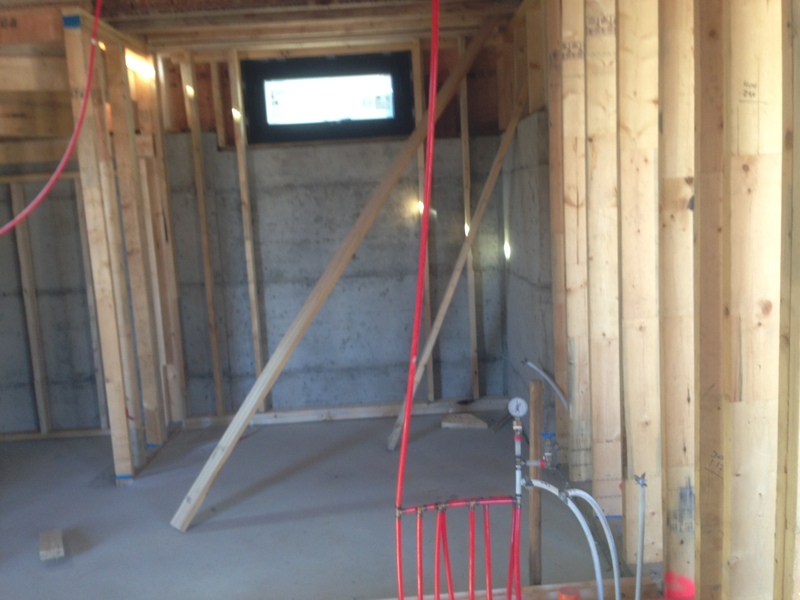 Check out that solid concrete floor! It really looked great, and not just in the garage. See that little window? It’s actually going to be replaced. Last weekend I was passing by (as I do!) 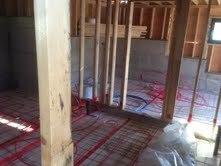 and saw the hoses had been placed all over the floor. I didn’t want to step on the styrofoam they were sitting on, so I looked through the bathroom window to see. And then I thought “Hey, I shouldn’t be able to do this! I don’t want my bathroom window to be clear (especially at eye height)!” So I pointed it out to Laurel, and sure enough, an error had been made and the window will be fitted with obscure glass. 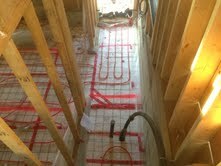 **whew** You can see the roughed in drainage for the shower on the left, the toilet in the centre, and the sink on the right. the original header has been removed, so we will have access though a panel that will be much higher. Angelito and his crew will make sure it’s as invisible as possible, with a touch latch so no hardware — it will look just like another part of the wall. You will also note: stairs! The bottom two still have to be fixed so that we can install drawers in them for our shoes, but it makes going up and down so easy. Note on the left-hand wall, there’s a smallish square window at the bottom of the stairs and a large rectangular window at the top. Between them rising up the stairs, there will be built-in bookshelves, in increasing size, so you will see small window, medium bookshelf, larger bookshelf, large window. This place is so well designed! We talked about a bunch of other things, too. Like the bedroom closet. It was designed so we can insert a 200cm wide closet system into it. But then I thought about putting in a regular closet, except it would be up to the ceiling. 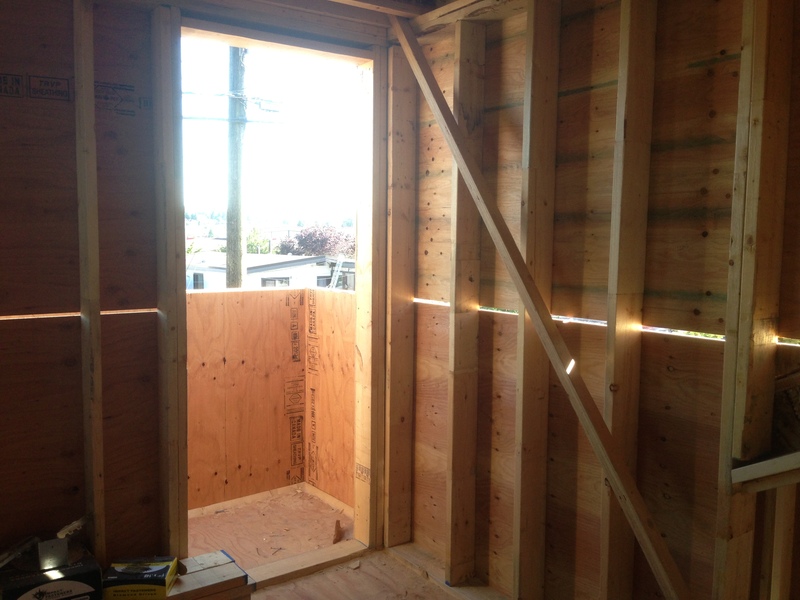 Angelito pointed out that the framing to support the doors we would want to put in would take up valuable closet space, and we kicked around some other ideas, but in the end we decided to go with the original plan. That’s what is so great about talking with the designer and builder right there. We can make so many decisions on the spot. 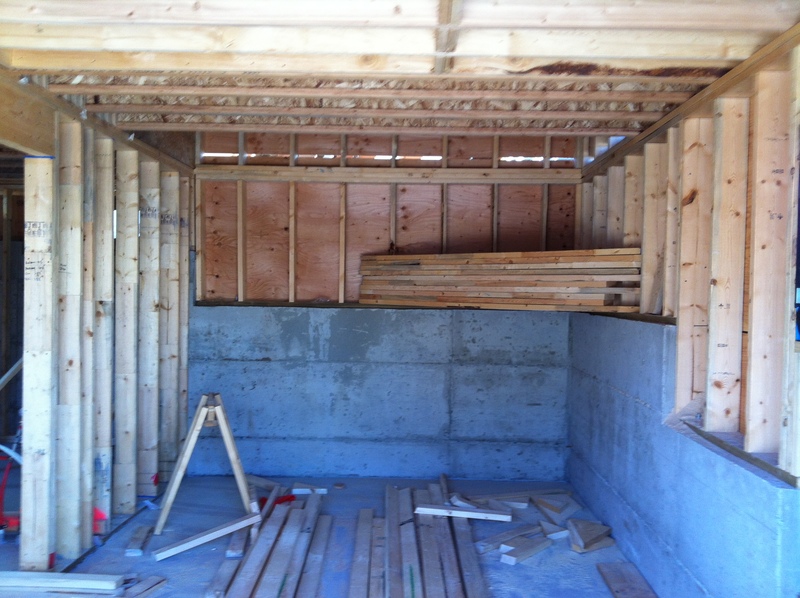 We also talked about putting shelving in, custom shelves versus out of the box; the drainage installed on the roof and the deck; the kitchen cabinets; the next steps. For the builders it will be sheathing and waterproofing, installing all the exterior doors and sealing off the house, getting inspections and putting on the torchon membrane in preparation for the living roof. For us it will be getting in touch with their technology expert about the security, the vacuum system and the entertainment. Plus shopping for an arrangement in the sitting room that can give us maximum seating in a space 80 inches by 50 inches. I’ve been reading, and following several blogs, about minimalism. And if you do that, you will soon run across the term “wabi sabi”. At first I thought that people were just fascinated with Japanese horseradish. But no. Wabi sabi is a Japanese term, to be sure, but it actually refers to an emotional state, a state of living, and of course a style of decorating. 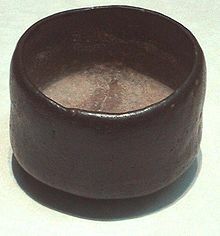 Wabi sabi is a state of consciousness. Its beauty hidden in the aesthetic or feeling experienced between you and something in the world. wabi sabi is about the perfection of impermanence and imperfection. OK, so the Japanese have a word for it, and we are trying to each find our own definition that conveys the spirit of the way of life that reflects and realizes beauty, serenity, and balance. But one thing everyone agrees on. Wabi sabi means living a clean, uncluttered life. Loving and respecting nature in all its complexity. Being mindful of one’s surroundings. Caring for one’s belongings, now matter how few they may be. Appreciating quality over quanitity. And that’s what I’m after. So I will try to follow the tenets of wabi sabi. Posted in Decorating, Housing, Minimalism, Small House and tagged Decor, Lane Home, Lane house, Laneway House, Small Style. Bookmark the permalink. Those of us who are treading the path to less and fewer can hardly be surprised that writer Rob Carrick has noticed the “living small” movement and espouses it. Let’s get a few things straight about the Think Small philosophy of spending. It’s not about self-denial, extreme frugality, going back to nature, reducing your carbon footprint, veganism, communism, adopting a monastic lifestyle or otherwise preventing you from having all the toys you want. Think Small is a liberation creed for consumers. Buy smaller homes and cars and spend the money you save on other things. It appears Mr. Carrick is writing a series of articles about the movement. The week before he wrote about the joy of spending less on cars. Now here is what surprises me. The Globe and Mail, like most media in Canada (this blog and CBC radio are the exception) makes its money entirely through advertising. Advertising makes its money by convincing people that they should buy things they don’t need. But you and I know that the secret to living small is NOT spending money on things. Hmmmm……so if we spend less and less on stuff, will there be more advertising, or less? Will newspapers and broadcasting be able to survive? Is Mr. Carrick writing himself out of a job? Posted in Housing, Life, Minimalism, Small House and tagged Lane Home, Lane house, Laneway House, Small Style. Bookmark the permalink. I went to a session at Bikram’s Yoga on Saturday morning with my daughter. She, an old hand, had told me how much she enjoyed hot yoga, so I thought I would try it out. The jury is still out for me on the experience. The studio was lovely and the teacher very helpful; I enjoyed it, but I did have to push myself to finish each posture (and failed!) so we’ll see how I feel in a day or so ( stiff and sore is acceptable, excruciating pain is not). I was a bright pink lady at the end, schvitzing like I never had before and SO ready for that nice cool shower. The yoga studio is hot. Not just warm, but hot. I lay down on my mat to begin, knowing that heat rises, so I should be comfortable at the lowest point in the room. But alas, the floor was the source of the heat! It felt warm to the touch. 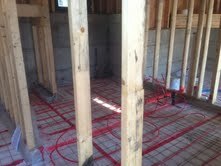 And by that circuitous route, I bring us to the point of this post — radiant floor heat. 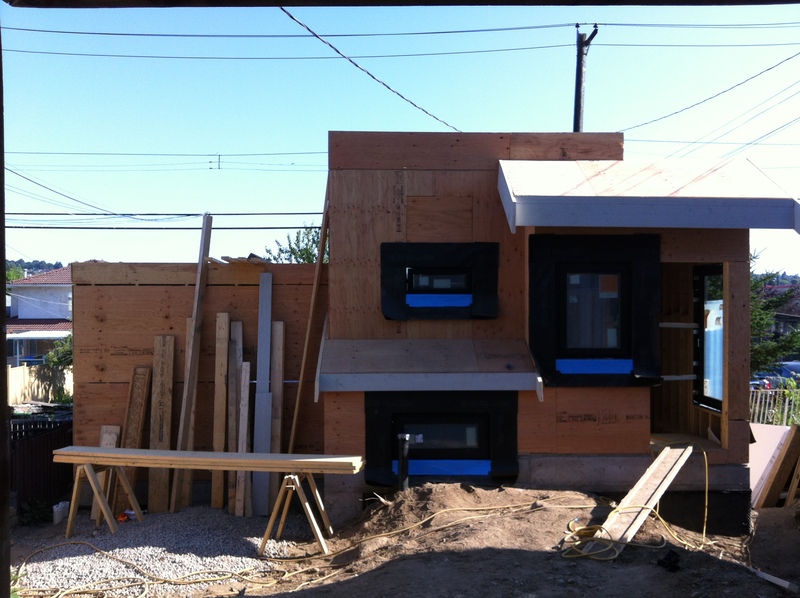 We will have it in the laneway house — and it’s being installed right now. Even in the garage (to the far right). 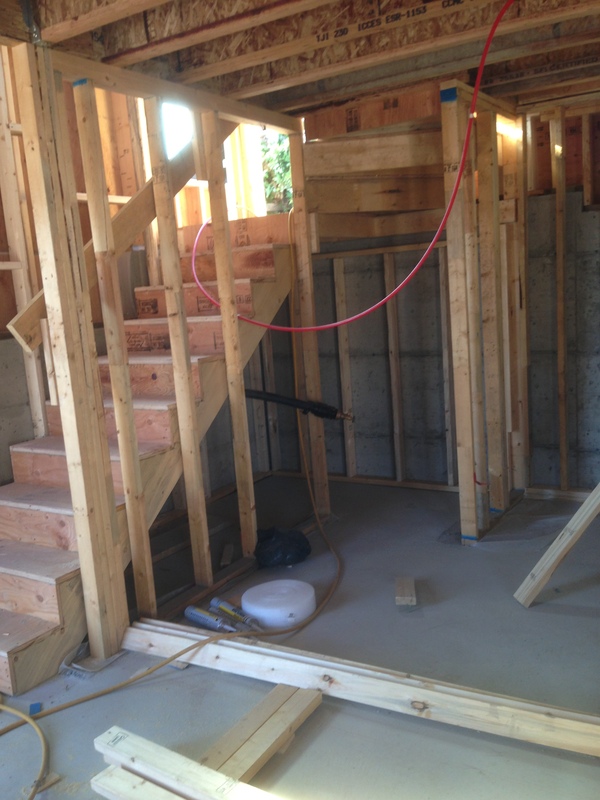 Even under the stairs, where the storage space will be. 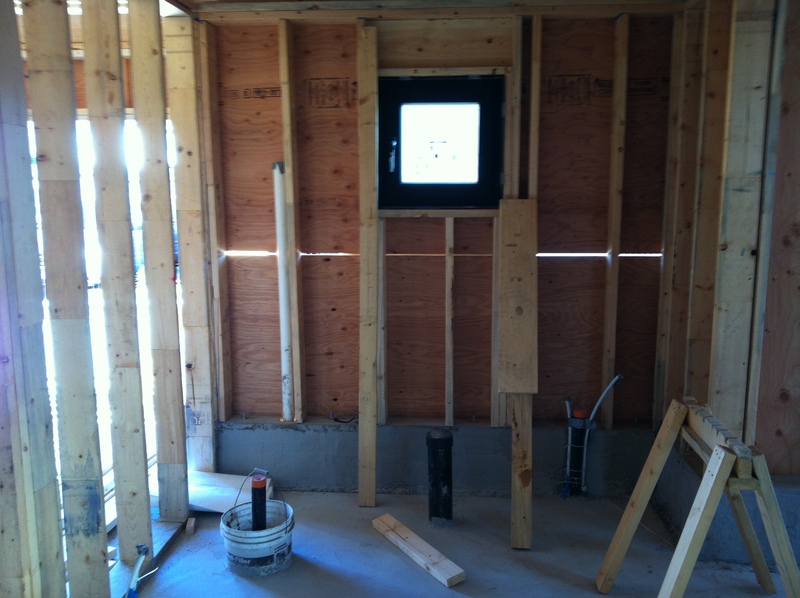 Each room will be programmable. Very comfy. We will keep our bedroom cool at night, the bathroom toasty. Upstairs, the heat from downtstairs will rise to warm it, but there will also be a baseboard grill at the floor level of the kitchen peninsula. And remember, if you have any questions, just phone in to the show. The Home Discovery Show, coming to a radio near you! Posted in Laneway House, The Home Discovery Show and tagged Decor, Lane Home, Lane house, Laneway House, The Home Discovery Show. Bookmark the permalink. Are windows the soul of a house? These photos were actually taken the other evening, so there may be EVEN MORE developments that we haven’t seen, but I did want to share the fact that the windows and doors are being installed in our laneway. They go up from the yard-side entrance to the kitchen/sitting area. 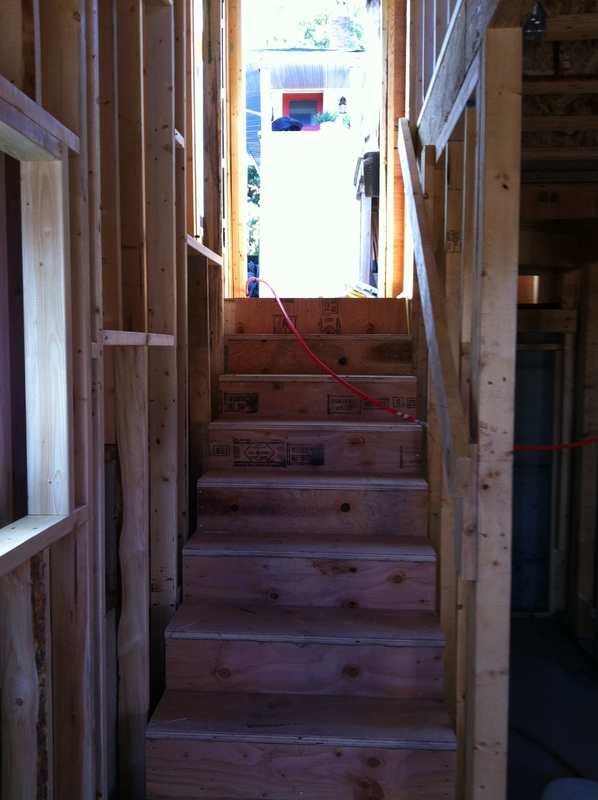 Here’s a view of the stairs and window from inside. 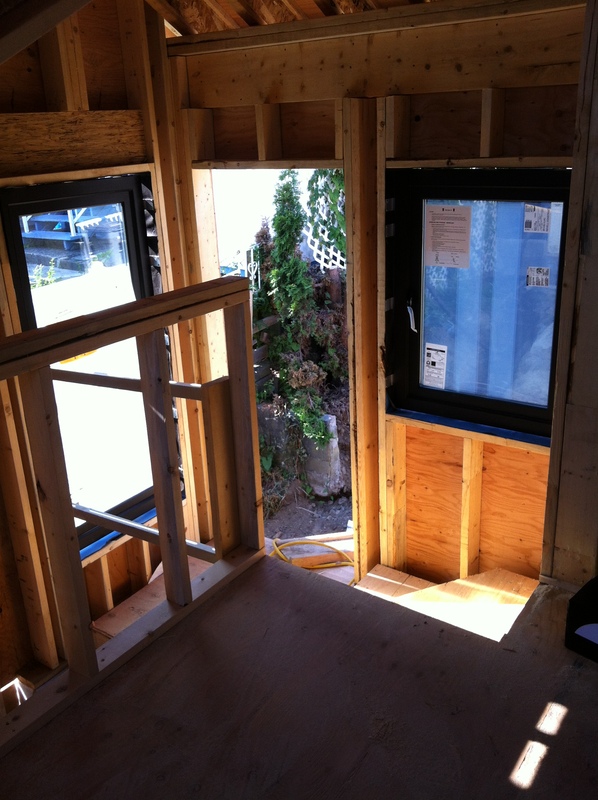 You can see the framing of the half-wall overlooking the stairs, and the window facing west from the landing. Here’s me on our deck outside the sitting area window. You can see the window on the right that overlooks the living roof from our kitchen. These two windows, and the one overlooking the lane from the sitting area are tilt and turn windows. I tilted them and turned them just for fun. 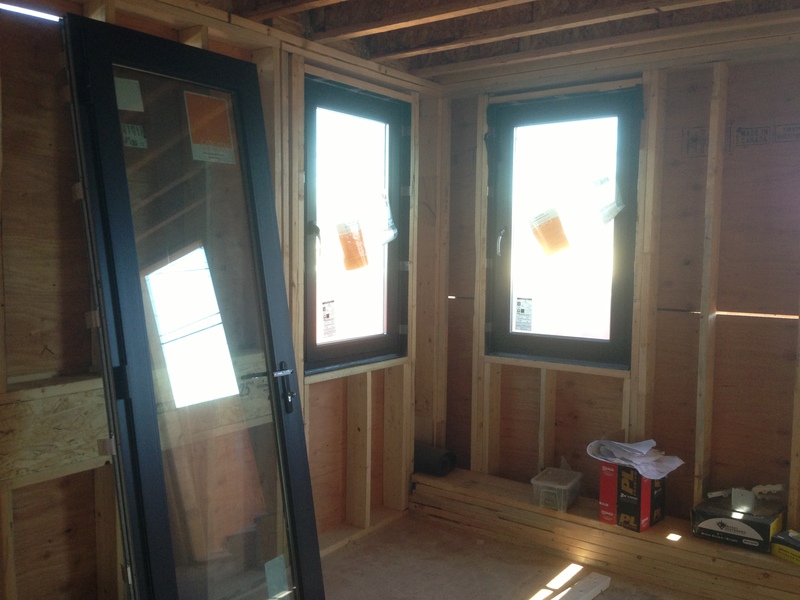 All our windows are from Cascadia Windows, made locally with fibreglass frames. More updates will come as we progress! Posted in Laneway House and tagged Decor, Lane Home, Lane house, Laneway House. Bookmark the permalink.